Each item has Comments field. But, it does not contain all comments. 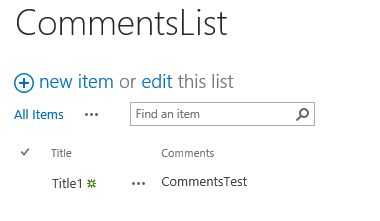 How to retrieve all comments of item? Not the answer you're looking for? Browse other questions tagged development jsom comments or ask your own question.